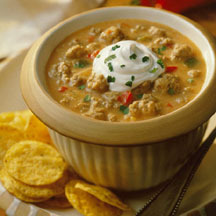 CooksRecipes has quality, kitchen-tested recipes for soups and stews made with pork, including ham and bacon, that you can count on for accuracy and deliciousness. 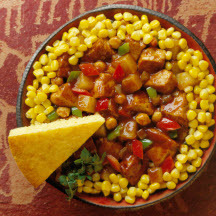 Richly flavored, this is a robust Texas-style stew featuring pork and vegetables. 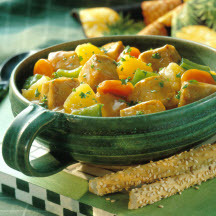 A tasty and colorful pork stew that slow cooks all day while you are out—working or playing. Younger cooks can help fix this with some supervision. Or have teen cooks fix this for a quick and tasty family dinner.